Some days you put in a lot of miles and are down right ravinious by the time you set up your tent. For those days you need a quick and hearty dinner. 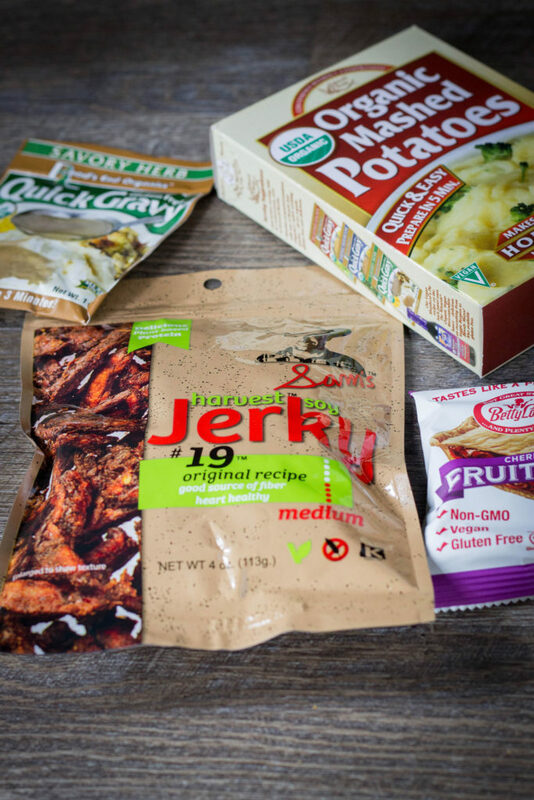 One option is to turn vegan jerky and instant mashed potatoes into an easy trail meal. Perfect after a long day on the trail. 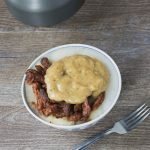 For more vegan backpacking recipes check out 10 Easy Vegan Backpacking Breakfasts, Vegan Backpacking Loaded Mashed Potatoes, and Vegan Backpacking Curry Rice. 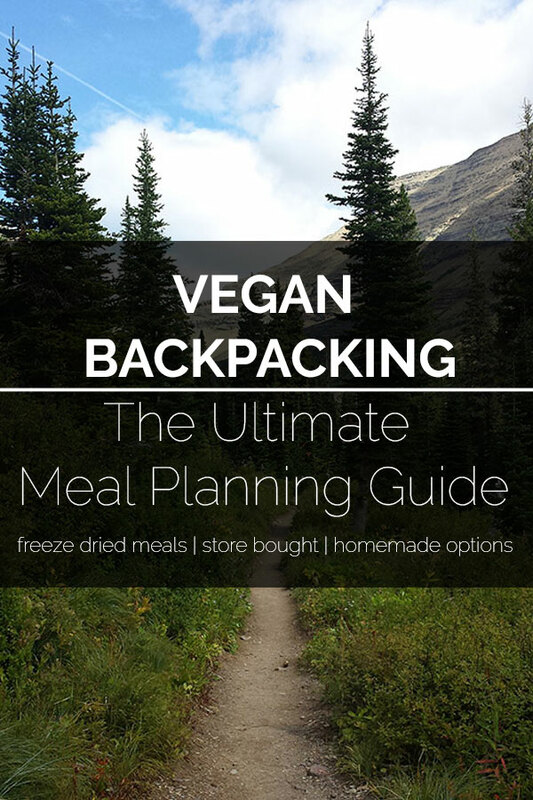 A filling vegan “meat” and potato dish for your next backpacking trip. Add potatoes jerky to a quart sized freezer ziplock bag. To prepare, add boiling water. Stir and wait 5-10min. Make gravy by following the directions on the package. Pour over the potatoes. 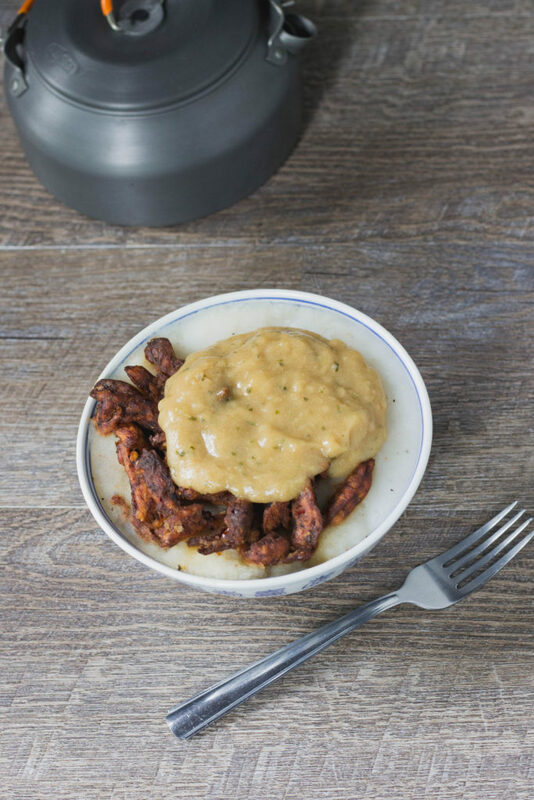 Instead of pouring gravy over the bowl you could mix the dry powder into the ziplock bag with the potatoes and jerky.